Not that long ago we entertained a discussion about design plagiarism here on Design Shack, but what does it mean if your work is stolen? How do you even know if your work is protected? And moreover, what can you do about it? That’s where the protection of copyrights and trademarks come in. But what are they? And how do they apply to your designed work? Let’s take a look. Copyright is a legal term used to define works of intellectual property – music, writing, design, photographs, inventions, symbols, etc. – and the rights, use, and distribution rules provided to the creator of such works. Copyright ownership is created as soon as a work is created, although it can be registered. Under United States law, registration is important because “you must have filed for copyright registration before the infringement occurs in order to have the full scope of copyright protection (the exception is if you filed within three months of the first publication of your work; in that case, you have full protection even if the infringement occurs earlier),” according to the American Institute of Graphic Arts. Copyright can be registered or not. The big difference, particularly in the United States, is that if a copyright is registered, you can sue for statutory damages. You don’t have to use the famous C in the a circle logo to show ownership. As a rule of thumb, most designers and companies use the insignia to show ownership explicitly. The length of copyright protection can vary by country, but generally last while you are alive plus 50 years (70 in the United States). International treaties protect your work all over the world, so if you register copyright in the United States, it still applies in the United Kingdom. While there are a number of created works that copyright applies to, how does it relate to designers? 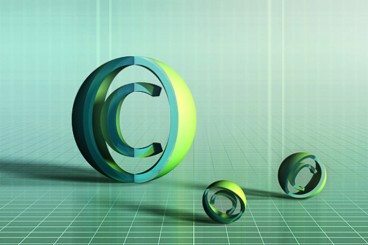 Much of your work – from computer code to infographics to a complete website design – are copyrightable. Drawings, the creation of a new typeface and product packaging are included as well. Almost anything you can create in a unique and original way is subject to copyright protection. So even elements like desktop icons, GIFs and shapes, textures and contours are also protected. Ideas: No ownership is applied to a concept or saying that you might create something. You must actually create something for copyright to apply. Titles or names: While the actual title of a work can’t be copyrighted, be wary of naming something similar the exact same thing. Familiar designs: Elements such as symbols – think a peace sign or yin yang – can’t be copyrighted if they are fairly common and widely used. Variations of lettering or coloring: Just because someone uses a similar color palette on a website does not mean they have infringed on your creative rights. Basic recipes: Listings of ingredients or contents are not copyrightable. A recipe accompanied by literary expression, however, is protected. Common information: Calendars, television listings, sports schedules, measurement charts and other common information is not subject to copyright. Government documents: Copyright does not apply to any legal or governance documentation. Design functionality: While you can copyright the way something looks as a designed product, copyright does not extend to the way it functions. So the look of a user interface button is copyrightable, but what happens when you click or tap it is not. Copyright is immediately granted to the creator of a work unless that work is done for hire with an agreement in place that transfers ownership to the employer or client. This is a common practice for designers. Some clients will allow you to keep some right to your created work, but you should read all contracts carefully before reusing things that you created for hire. It can be difficult to prove infringement unless you keep documentation of your work as it is created. (For a website, you may have original code or dated sketches of the design.) It also helps to have a few other people who knew about the work or saw it during creation. Proving copyright infringement can be a difficult and sometimes cumbersome process. Often, though, just telling someone to stop copying your work can be enough to get results. Consider talking to an attorney about writing a cease and desist letter if you suspect that someone is creating replicas or is copying your original work. While we often talk about copyrights when it comes to ownership, trademarks can be equally important for designers (particularly those who work with logos). Trademark protection can extend to some elements not necessarily covered by copyright. A trademark is a symbol, slogan, simple design or word (or combination of these things) that is used to identify a group or business. Trademarks also apply to sounds, shapes and colors of the same purpose. The purpose of a trademark is to identify a brand or company and set it apart from other similar products or services. The Coca-Cola logo, for example, is a trademarked item. Trademarks should be registered and are often accompanied by an R in a circle. Registration is a fairly comprehensive process and does include a search of similar marks or designs to ensure that your material is original. While the ins and outs of copyright and trademarks can be very complicated they are designed to protect the designer. When working on a new project, take special care not to copy or “borrow” the work of any other party. If you see something you would like to use, ask for permission. And if you are worried that your copyright has been infringed upon, seek professional legal advice. Image Sources: MusesTouch, Duncan Hull, Mike Seyfang and opensource.com.